20 % of the total ingredients are active ingredients from organic farming. 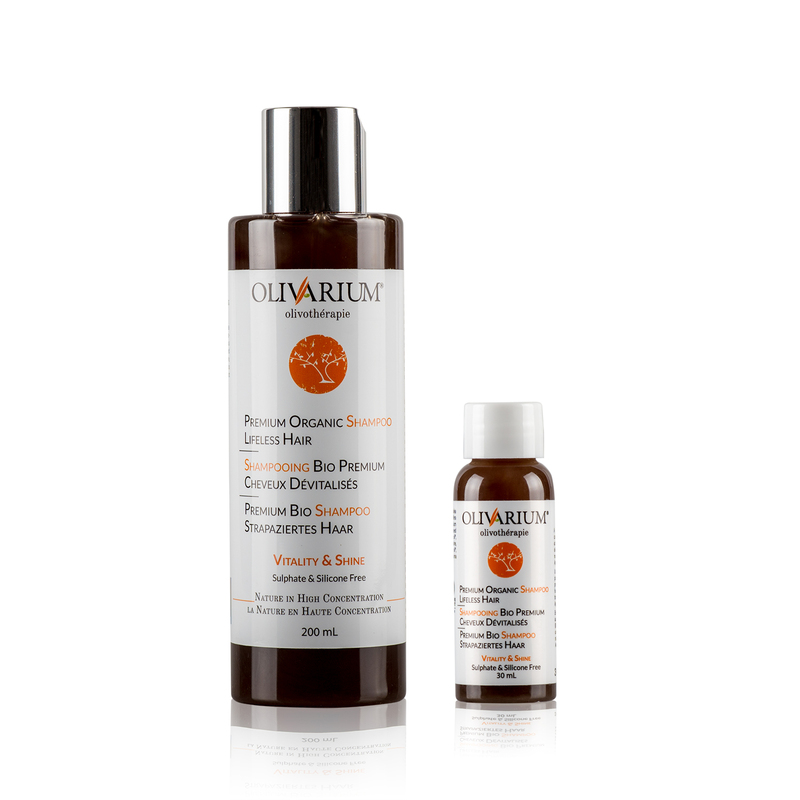 A sulphate-free premium organic care for lifeless or thinning hair, naturally powerful and non irritating, based on a host of first-class Nature pure actives: antioxidant organic virgin oils (olive, coconut, ricinus, pumpkin seed) to nourish and hydrate, precious essential oils (cedarwood, rosemary) to tonify and alkanna tinctoria root to revitalise. Apply to wet hair and scalp. Massage through to ends into a moderate lather. Let the natural substances activate. Rinse and repeat. Water, Olive organic virgin oil (emollient, moisturizing agent, antioxidant - origin : plant), Coconut organic virgin oil (emollient, moisturizing and hair conditioning agent – origin : plant), Decylglucoside (cleaning foaming agent & emulsifying agent – origin : plant), Potash lye (pH regulator – origin : mineral), Ricinus organic virgin oil (emollient, moisturizing and hair conditioning agent), Pumpkin seed organic virgin oil (stimulate hair growth, revitalising, toning – origin : plant), Sea salt (natural binding, thickening agent – origin : mineral), Coconut betaine (surfactant, emulsifying, cleansing, hair conditionning agent, antistatic – origin : plant), Cedarwood bark organic essential oil (antiseptique, astringent, conditioning – origin : plant), Rosemary organic essential oil (antiseptic, anti-inflammatory, decongestant – origin : plant), Alkanet root (astringent, tonic, antioxidant – origin : plant).